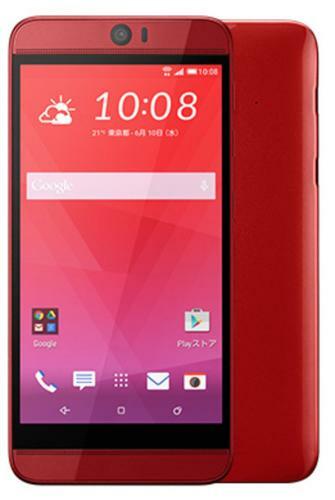 The new HTC J Butterfly doesn't have the One M9's premium design, but it's waterproof. Unless you live in Japan, get ready to feel jealous: HTC on Thursday announced a new and impressive J Butterfly that is only available there. Here is how it compares to the One M9, currently the most advanced smartphone from HTC available globally. Both smartphones are powered by Qualcomm's Snapdragon 810 processor and have 32GB of integrated storage, but a review of the specs shows a number of opportunities HTC missed with the One M9, which started shipping in March. The One M9 has a 5-inch screen and the Butterfly's screen measures 5.2 inches. But the newcomer has a 1440 x 2560 pixel resolution compared to 1080 x 1920 pixels on the One M9. That puts the Butterfly on par with competitors like Samsung's Galaxy S6 and LG's G4. To go along with all those pixels, the Butterfly also has a bigger battery. You can say what you like about whether the higher resolution is necessary, but One M9 is at a distinct disadvantage. The bigger screen on the Butterfly comes at a cost. The One M9 is 5 grams lighter than the J Butterfly, which weighs 162 grams. It's also smaller at 144.6 x 69.7 x 9.6 millimeters compared to the Butterfly's dimensions of 151 x 73 x 10.1 mm. That isn't much of a difference, but the One M9 is already big for a smartphone with a 5-inch screen, so every gram and millimeter counts. On top of that, the Butterfly is made of plastic, instead of aluminium like the One M9. But the flip-side is that the Butterfly is waterproof, a useful feature that for some reason seems to have fallen out of fashion on high-end smartphones. One of the most discussed features on the One M9 is its camera, which also has put it at a disadvantage versus other recently launched high-end smartphones. The Butterfly's main camera features HTC's Duo technology, this time with 20-megapixel resolution. The Duo set-up includes a second lens that records distance information, allowing users to play around with the focus after an image has been taken. The Butterfly also has a 13-megapixel front camera. The One M9 has, in comparison, a regular 20-megapixel camera on the back and a 4-megapxel camera on the front. The HTC One M9 is a good product, but when compared to smartphones such as the Galaxy S6 and LG G4 it comes up short in most regards. The Butterfly is much closer to what the One M9 should have been, and HTC should make it available in more countries as soon as possible. The company hasn't yet announced any plans to release it outside of Japan.